I admit it. I bought something on Black Friday. 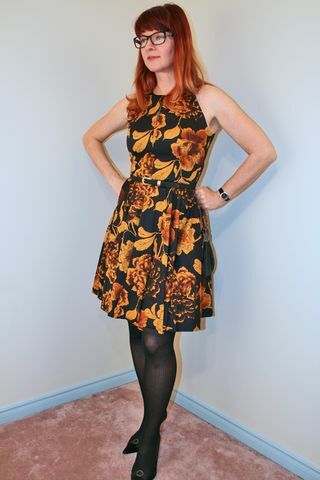 Here is the proof…a dress from Mod Cloth at 50% off. I’m always scared to buy online. I knew that the cut and the colours would work for me, but it is always a bit of a guessing game when it comes to sizing, especially when this came in UK sizing. I’m either a size 4 or 6 here so I sized up to a 10 and it fits perfectly. I am delighted with it. I have my fingers crossed that my other online purchases turn out this great. This is the Whiting and Davis handbag that I scored at that estate sale a few weeks ago. It goes perfectly with this outfit. I was excited when Firmoo offered me the opportunity to partner with them for some new stylish frames. I’d been on the hunt for a while for some fun frames and this was the ideal occasion to get exactly what I was looking for. 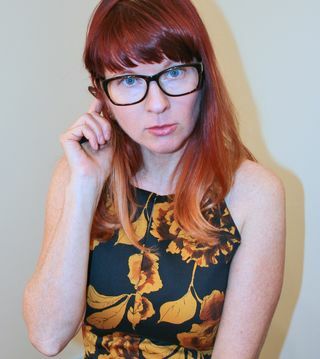 It was very easy to use the Firmoo website and fun to virtually try on all the pairs I wanted using my own photo. These sweet frames are what I ended up with. I couldn’t be happier. I love the way they change up my look. I had laser eye surgery years ago so I don’t need to wear a prescription lens but I consider the clear lenses a fashion accessory now. The service was excellent, the glasses arrived within a couple of days. They came with an additional soft fabric case as well as a hard case and included a tool for tightening the frames and an extra screw. Pretty handy since I know that those are easy to lose. Firmoo also offers a First Pair Free program which is incredible. You literally have nothing to lose. You can try out a pair risk free, sunglasses, non prescription or prescription. I’m trying to convince my hubby to get some now. It’s so cool to be able to change up your look with a unique stylish pair glasses or sunglasses. I just found your blog via Effortless Anthropologie. You are so stylish!!! I just love your hair. I am about to color my hair red. I love yours. Is it natural or do you color it? I need all the tips I can get. You’re amazingly edgy and classy. I love it. I also got an email from Firmoo… I can’t wait to get my pair in the mail to try on. I’m blind as a bat so we’ll see how those lenses work out for me. Haha. 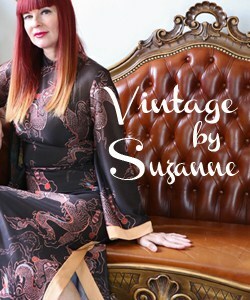 What a gorgeous dress, Suzanne!I love how it’s almost the same color as your hair. Thanks for stopping by Rachel : ) I am so jealous of your sewing talents! I wish I could sew like that. Sadly I do not have the patience required. My hair is coloured. I’m a natural blond. I started colouring it about 2-3 years ago and don’t know if I’ll ever go back to being blond again. The red seems to go better with everything and I don’t look so washed out. 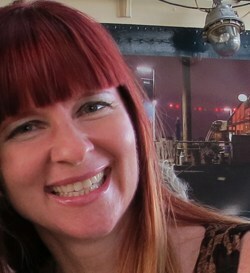 I had a great colourist to take me from blond to red. It didn’t happen overnight and took a while to build up to this colour. She is on baby leave and I had another guy do it last time and didn’t like it one bit so I decided to do it myself. If you are just doing one solid colour you can totally do it yourself. Since I have ombre it is more complicated and I will probably go back to the salon again because it was too messy and hard to control. 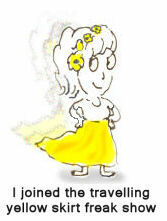 If your hair is dark you may need to lighten it before you add the colour onto it so that it will take. I would recommend seeing a professional for that. I can’t wait to see your new glasses too : ) In the meantime your bunny pjs totally put a smile on my face. What a gorgeous dress, and it looks great with your hair color! New glasses, too – that’s always exciting. I’m planning on getting new ones in the new year. I’ll check our Firmoo. Gorgeous dress and I love the super trendy glasses! You look amazing in that dress – what a gorgeous pattern! I love the glasses too – very cute. You really scored with that beautiful dress. It takes me forever to order online because I’m always checking and rechecking the sizing chart, which of course has to be different for everyone. I won’t purchase anything off eBay if the seller doesn’t include the measurements, especially waist and bust. I have to say that I was quite worried about ordering something like eye glasses online since I normally spend hours trying them on in a store. I was honestly very pleasantly surprised at just how well it worked out. Definately use the “virtual” try on. I crossed off quite a few choices from my list using that application. Ha ha! too funny about the bifocals. I never thought about that before. I agree that it is like taking a stab in the dark for sizing. I really like it when the dresses have some lycra in them. I know that usually helps. The dress looks like it was made for you- a great black friday score! And your Firmoo frames suit your face. Great look! Lovely dress. 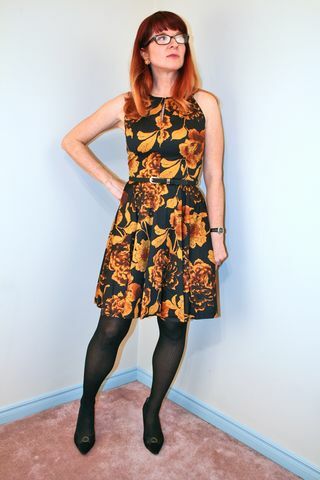 I am a recent Modcloth convert! Love the comments section the best. 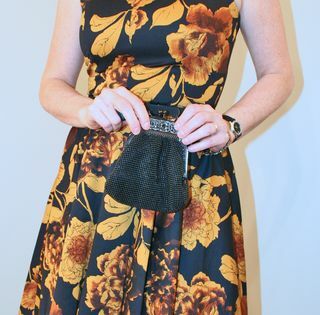 What a cute dress and a gorgeous bag! I hesitate buying online as well…ruelala final sales kill me everytime. love this dress on you! Fab find from Modcloth! I love Mod Cloth. That dress is great! 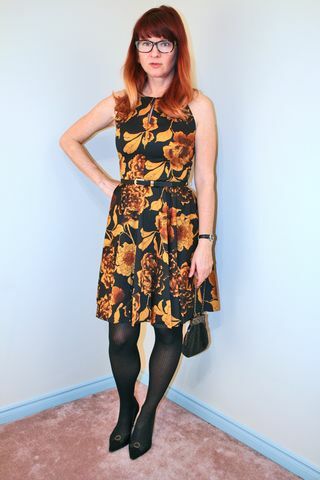 That online buy is truly worth it Suzanne…..love the shape & bright prints of the dress! And those specs switched up your looks!! SO cute! You look great in those frames. Perfect with the dress. Utterly adorable! Love your dress and style. This dress is absolutely darling, and looks stunning on you! This dress looks absolutely beautiful on you. The colors and pattern are perfect. Plus those glasses look great on you! What a lovely dress, the print is fantastic! You look amazing! I know what you mean about the UK sizing, when I ordered anything Topshop I have to order a UK10 and it usually fit great! Great glasses the frame looks so good on you! Such a beautiful dress! I’ve never ordered from Modcloth but I’ve wanted to. I have the same issue with buying online. My body shape is very difficult to dress, so buying online without first trying it on can be risky. You look FABULOUS in those glasses! SUCH a great dress! And I love Firmoo — I have a pair of black spectacles from them as well. They were something like $10 and I get a ton of compliments on them. Looking gorgeous! Know you’ll be out and about in it with a little leather jacket. Or another third piece, but regardless, you’ll look polished and amazing. Have a great holiday … hope to see all in January. That dress is gorgeous and I love those specs! Great print! And 50% off that’s just awesome! Wow – absolutely love those glasses!